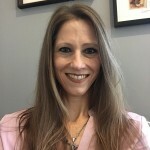 I have enjoyed providing psychotherapy in Metro Atlanta for over 17 years, and I currently maintain a private practice at Century Lake in Atlanta where I work with individuals and couples. and personal growth and development. It is important to me to establish a safe and supportive environment in which healing can occur. I work collaboratively with clients to explore their concerns and struggles, build on their strengths, develop their inner resources, identify and achieve goals, and deal with unresolved issues. Different theoretical approaches have influenced me (including family systems, Gottman Method Couple Therapy, and Emotionally Focused Therapy for Couples), and I incorporate what will be most helpful to each client/couple. I believe that the mind, spirit, and body are intimately connected, and all must be taken seriously to move toward healing and wholeness, although this process will look different for everyone. In my education and clinical training I focused on the intersection of psychotherapy and spirituality. I enjoy working with a broad spectrum of clients, and I have profound respect for my clients’ individual systems of value and meaning and their different worldviews. For me it is a real honor to do this work, and I appreciate the trust I earn with clients. I am a licensed Marriage and Family Therapist with the following educational/training: I have a Ph.D. in Religion from Emory University and a Master of Theological Studies from Harvard Divinity School. I received four years of clinical training and supervision in individual and couples therapy at the Georgia Association for Pastoral Care (GAPC)/Care and Counseling Center of Georgia (CCCG); I have completed Level II training in Gottman Method Couple Therapy; I have completed initial training in Emotionally Focused Therapy for Couples (EFT); and I am certified in PREPARE/ENRICH. I am committed to regular and ongoing consultation and continuing education to improve my skills and increase my knowledge to benefit my clients.